At We Build Pole Barns we can perform all the levels of the pole barn building process. Pole barns can be constructed anywhere in your area. Our company offers material sales that include the complete kit for pole barns or metal buildings. You may choose from any size, a wide variety of colors, style and designs to suit your needs. Our building materials sales come at great low prices to fit most any budget. You get a long lasting warranty with building materials too. Kits can be chosen in real wood and metal, like steel. Our metal buildings are sturdy and serve a wide variety of purposes. Metal building home plans can be created for you by our expert construction team. We can supply you with a metal building list of items you will need for construction or you may simply choose from a wide variety of complete metal building kits we sell online and ship out fast. Our metal buildings are strong, durable and last a lifetime. Placing your order is easy and we have a full staff to serve you with quotes, plans, measurements for your metal building and more. As a client, you can count on us to provide you with very reliable pole barn products and excellent service at a great low price. You may take advantage of our online design center and design your own pole barn. You may choose to buy our complete pole package kits that we sell right here. A kit can be shipped to your address fast. Get yours now at a great low price with a great warranty. Pole barns offer great uses like horse barns, sheds, garages, residential, storage barns, farm equipment storage and more. We offer pole barn renovation and repairs. You can contact us today to get a free consultation and find out more about pole barns. We can arrive at your home or business to make repair to roof, siding, interior or exterior and more. We have skilled pole barn and metal building contractors for the job. Renovation are offered too. 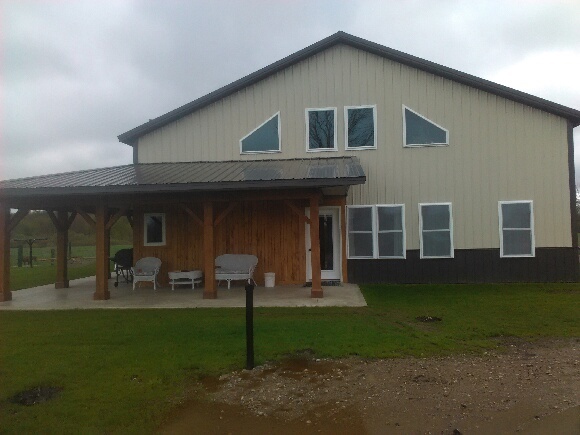 We can update your old pole barn to a very modern one. We can help you learn your new design as well. We can help you make your pole barn or metal building very spacious. It is clients like you that continue to take our business to the top. We offer friendly customer service and can answer any of your questions and concerns about your pole barn building project. For the best wood and metal building projects, you have come to the best place on the web.